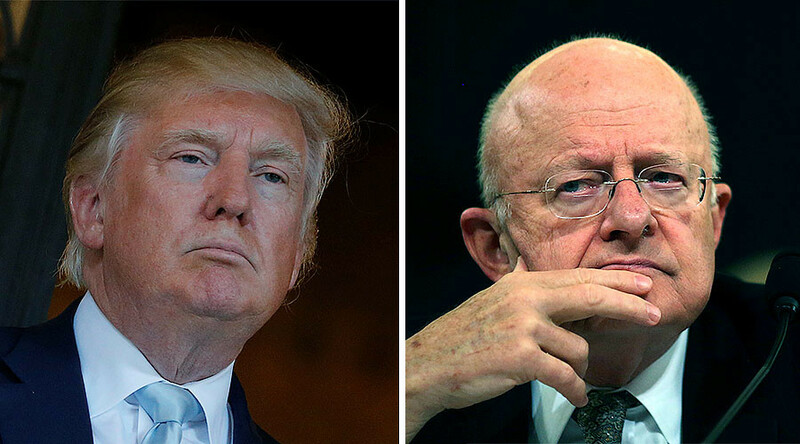 Director of National Intelligence James Clapper said in a rare statement that he met with President-elect Donald Trump to express “profound dismay” at the recent leak of intelligence documents. At the heart of the matter is a document first published by BuzzFeed on Tuesday, which Clapper stressed was “not a US Intelligence Community product” in his press release Wednesday evening. Clapper also said the allegations had come from a "private security company," and that US spy agencies had "not made any judgment that the information in this document is reliable." He went on to state, however, that "part of our obligations is to ensure that policymakers are provided with the fullest possible picture of any matters that might affect national security." Clapper's statement that the dossier came from a private security company aligns with a report from the Wall Street Journal, which stated that Christopher Steele, a director of the London-based Orbis Business Intelligence Ltd., compiled the report, citing "people familiar with the matter." Steele's business partner, Christopher Burrows, said he would not "confirm or deny" that claim. 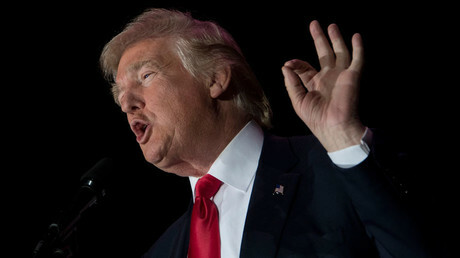 However, users of the website 4chan – the largely anonymous message board known for launching memes – claims the story involving Trump, prostitutes, urination and a Moscow hotel room previously occupied by the Obamas originated on the site as a gag. Calling the documents “fanfiction,” a user says that he sent the document to “anti-Trump pundit” Rick Wilson, who gave it to the CIA, which then classified the document in its official intelligence reports on the election. Senator John McCain (R-Arizona) also copped to his own role in spreading the disinformation to the FBI. While there is still confusion as to the exact source of the story, the documents were nonetheless published by BuzzFeed on Tuesday, prompting to the hashtag #GoldenShowers to trend on Twitter. In his press conference Wednesday morning, Trump called BuzzFeed a “failing pile of garbage” for publishing the unverified accusations. He also lashed out at CNN reporter Jim Acosta when he tried to ask a question, after accusing the network of "going out of their way to build it [the report] up," referring to the outlet mentioning the report in an article. "Your organization is terrible, I'm not going to give you a question," Trump said to Acosta, telling the reporter that he and his channel are "fake news." Following the exchange, Acosta said live on-air that he felt it was "only fair" that CNN would have the chance to ask a follow-up question since the network was being "attacked." 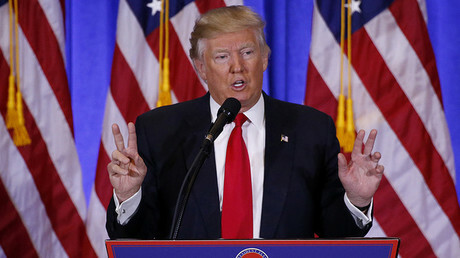 However, Acosta said that Trump had "indicated that he was not going to call on me or call on CNN, he sort of pointed at me at one point and then waved his hand as if 'you're not going to get a question...'"
Following the event, Trump tweeted that the press conference was "great," stating that "a couple of fake news organizations were there but the people truly get what's going on." Trump also vented his general frustration about the report on Twitter ahead of the press conference, comparing the actions of the IC to Nazi Germany. But Trump wasn't the only person furious about BuzzFeed's publishing of the unverified report. Journalists and media executives from across the globe also chimed in, with Mother Jones' Washington Bureau chief David Corn tweeting that "even Donald Trump deserves journalistic fairness." The documents had circled for weeks around Washington insiders and the press from an unknown source, but most outlets steered clear of the story, as it had not be proven true.